Submitted by lmcshane on Sun, 12/29/2013 - 03:44. Fortune Magazine recently predicted that the market in NEO - will make Cleveland the "next" Brooklyn - break out real estate. The American geography of prosperity has been driven by two big narratives in the past few years. On the one hand, there's Detroit, with its $18 billion in debt, pension mess, and population loss. On the other, there's Brooklyn, with its rocketing real estate prices, hip-luxe condos, and freshly foraged food stores. But what's next for this Tale of Two Cities muni-drama? Our bets for 2014's breakout and breakdown towns. Runners-up: Atlantic City; Gary, Ind. Submitted by lmcshane on Sun, 01/19/2014 - 12:32. I posted the above in entirety - because I am convinced that the story was fabricated/spoon fed to CNN-Fortune magazine - unfortunately, without a photo. 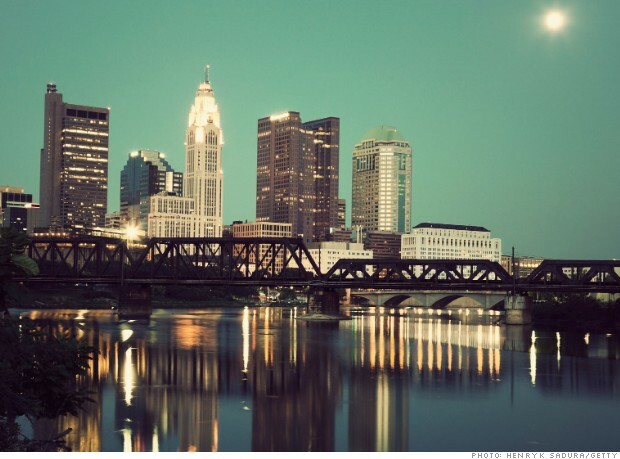 So, they used their Getty file and came up with any city in Ohio. Who is paying attention anyways? We obviously want to hear good news, right? Even, if it is made up. Well - we need to look to other cities in Ohio that are not bogged down with entrenched political cronies, CDC fiefdoms, quasi-governmental entities like the "Land Bank" and a real estate titan known as Forest City. Also - it is interesting to note that the State Library of Ohio has designated four digitization hubs in the state- Cleveland, Cincinnati, Toledo and Columbus. So, in a perverse vicious cycle, the cities themselves will likely be on the hook to dig deeper into their already decimated tax bases, and foot the bill to remove the houses. It is a no-win situation: ignore the problem, and watch the blight and disinvestment spread even farther, or spend money that you don’t have, raise taxes, and drive more residents and businesses away, in order to try to keep things from getting worse. If you are skeptical about this future projection, the future is already here. Today, over 15,000 houses in Cleveland sit abandoned. In Akron, the number is around 2,300. And in Youngstown, a city of 65,000, that used to have 170,000 residents, an estimated 5,000 abandoned houses and 20,000 vacant lots pose a problem almost too overwhelming to comprehend.